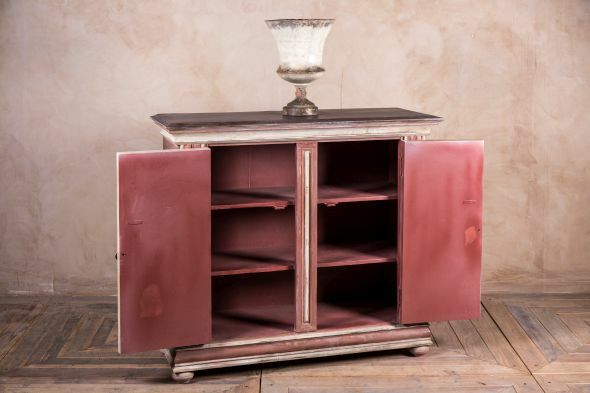 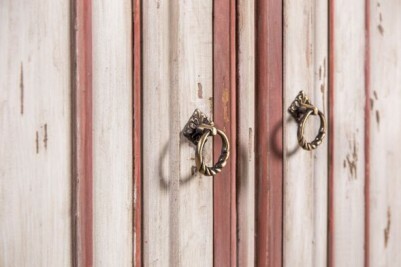 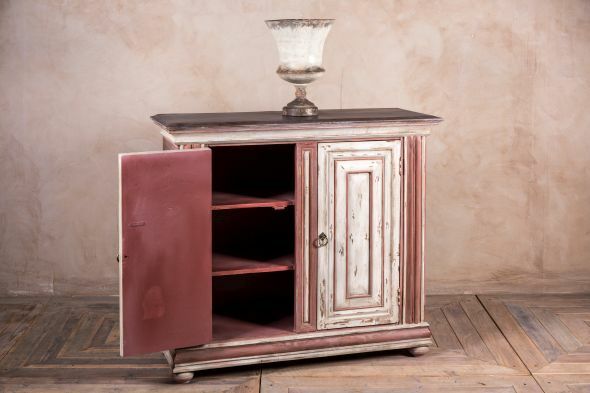 Introducing this shabby chic cabinet from our stunning new collection of hand-finished furniture. 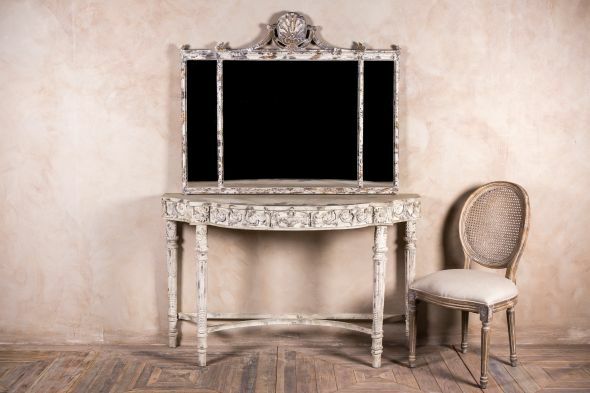 This range of Venetian inspired furniture includes mirrors, tables, plate stands and chests of drawers; as well as smaller, distressed metal decorative pieces. 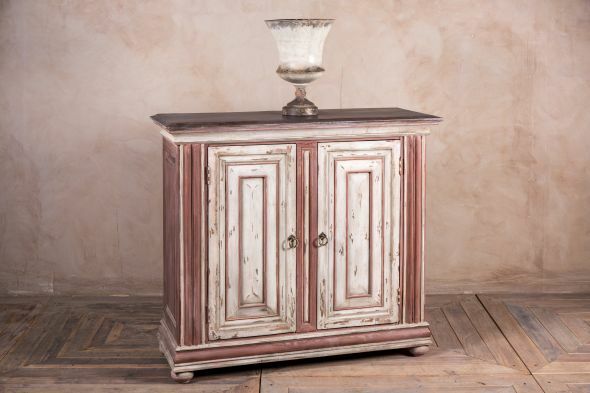 Shabby chic is an extremely popular furniture style at the moment; it is a versatile look and would give any interior a touch of vintage charm. 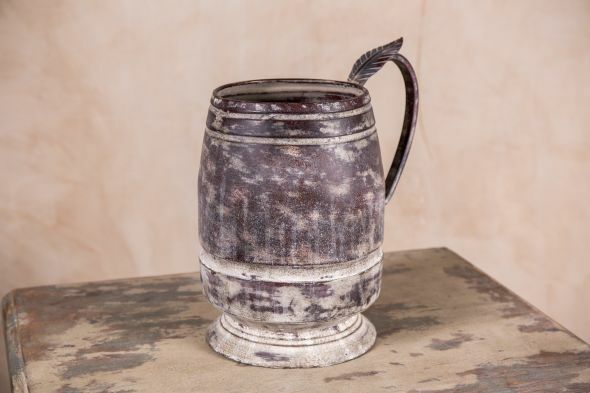 The textured layering of paint gives each piece in this collection a unique appearance full of character. 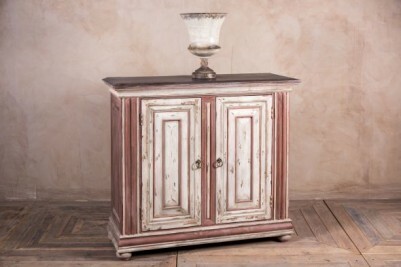 This stunning cupboard/small sideboard would make a lovely focal point. 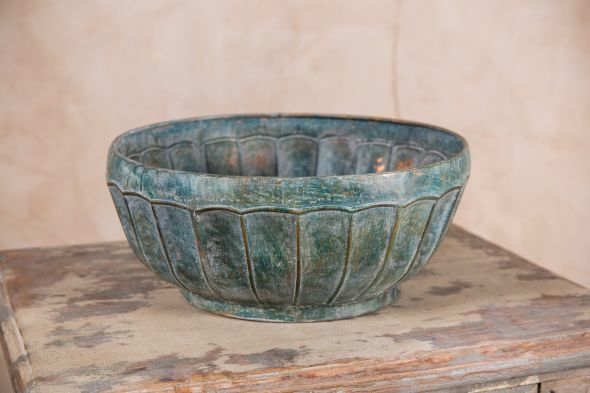 It could also be layered with other items from this range to create a complete room setting. 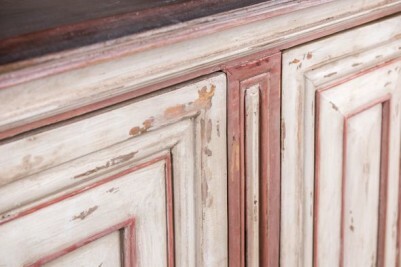 You can also have this cabinet repainted in any Farrow & Ball colour for an additional £30.00. Please contact us if you would like this option. 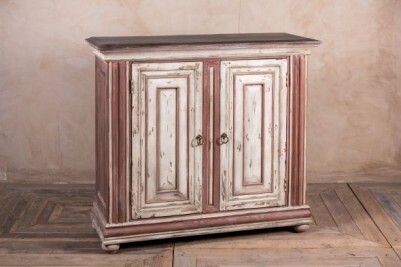 The price is for the shabby chic cupboard only. 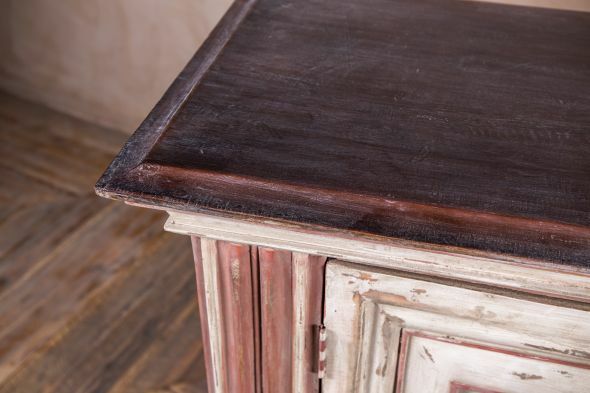 Other items pictured are not included in this listing. 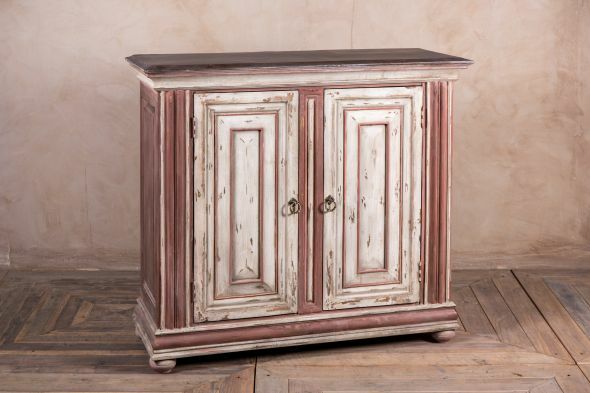 Browse our website to see the full shabby chic collection, or view in person at our showroom.